Would you like to win Pocket Money of ₦10,000 each month for 1 year? 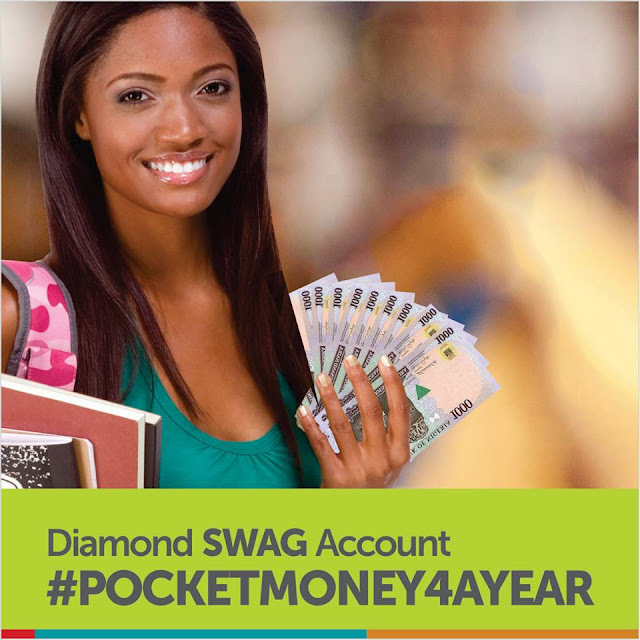 You are in luck because the “PocketMoney4AYear” promo just began and you can start participating today. Credit your account with a minimum of ₦3,000.00 every quarter beginning from June 2015. Each multiple of ₦3,000.00 deposit increases your chance of winning in the quarterly draws (this means if you deposit ₦18,000.00, you will have six chances of winning). Draws will run from June - August 2015, September - November 2015, December - February 2016, and March – May 2016. Note that you can make withdrawals during the period and still qualify for the draw. Thank you for choosing Diamond, Your Bank.